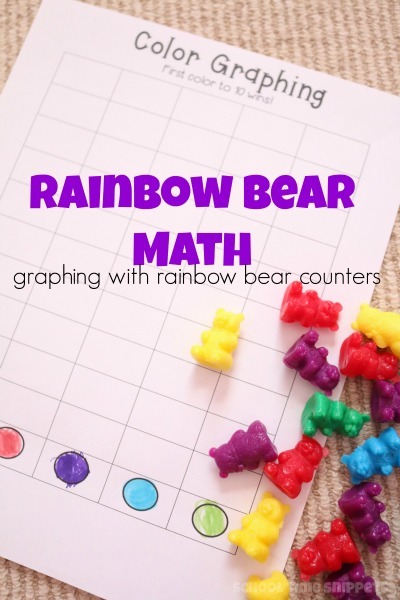 Practice graphing skills and color sorting with your preschooler using rainbow bear counters . We purchased these colorful little bears a few years ago, and the kiddos love using them as math manipulatives! 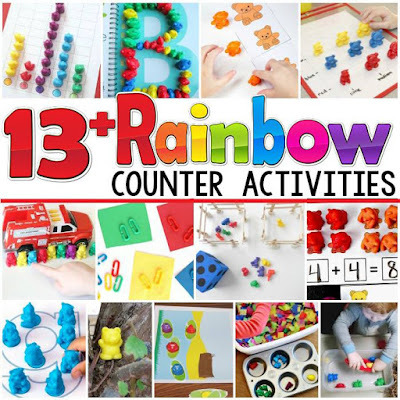 We've joined up with a team of other blogs to share different activities to use with rainbow bears or similar manipulatives. Do you have a set of rainbow bear counters ? 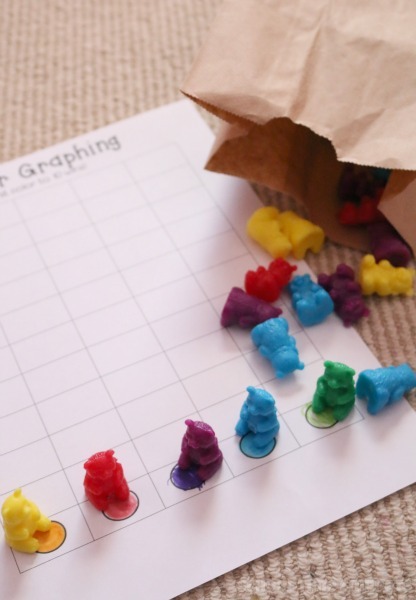 Print out our Color Graphing printable so that your child can work on graphing skills, too. 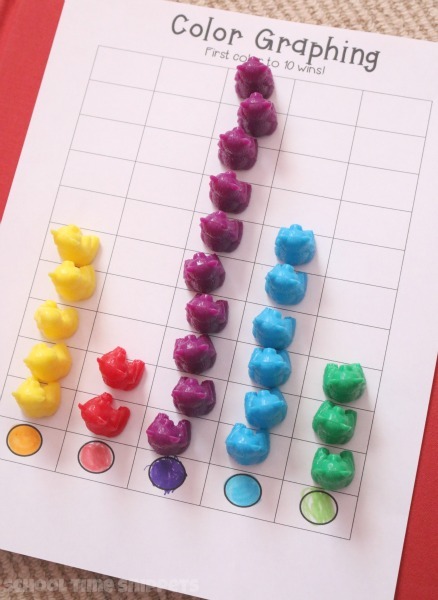 This hands-on preschool math activity is a great way to practice graphing skills and color sorting. Ready? Grab your rainbow bear counters ! Prep the activity by coloring in the circles on our printable that will be used in the graphing activity. If you have rainbow bear counters, you or your child will color the circles, yellow, red, green, blue, and purple. Place the rainbow bears in a paper bag or container your child can not see through. Have your child pull out a rainbow bear and place it in the first box in the correct color column. Continue until one of the color columns reaches 10 first. Alternatively, your child could color in the squares, too. My preschooler and I did this activity a couple of times, and the purple bear made won twice. It was a great way to use vocabulary like least/ most, practice 1:1 correspondence, and more! Download your Color Graphing Printable here! You might also like this color sorting activity using rainbow bears inspired by the book, Corduroy. Do you have a set of Rainbow Bear Counters ? Here's several more ways to use colorful math counters in your educational learning activities!